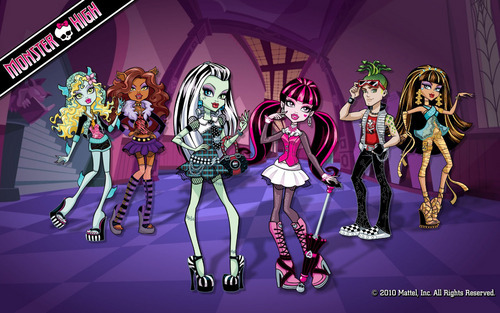 Monster High Group 1280x800. Monster High Group 1280x800. HD Wallpaper and background images in the Monster High club tagged: monster high group wallpaper clawdeen wolf frankie stein draculaura cleo de nile deuce gorgon lagoona blue. This Monster High wallpaper contains anime, comic book, manga, and cartoon. omg i just love ur club!! and I love Cleo De Nile....I know some people don't but i just LUVVVVV her!!! ty ty ty ty ty!!! I love Cleo De Nile because she is awsome!!! !